According to a new report by United Cerebral Palsy and the Ancor Foundation, Florida dropped from 18th to 34th in state rankings when it comes to helping people with intellectual and developmental disabilities (I/DD) lead more independent lives. And in terms of helping these Floridians get jobs, Florida ranks last. Laura White, the executive director of United Cerebral Palsy Tampa Bay, said that’s largely because of money. "There's a bit of a caveat with the funding to support those folks on the job - as well as it's a bit tricky to be employed and still keep a lot of your social security benefits,” White said. 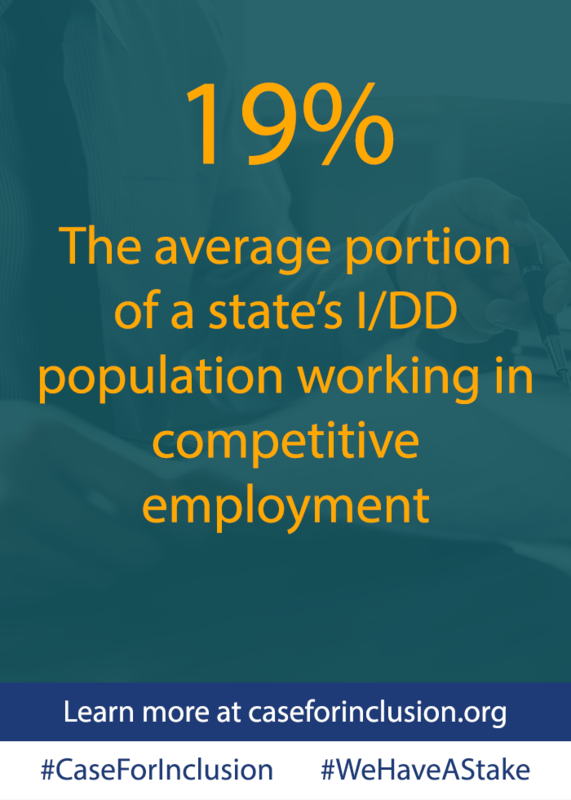 Job support for Floridians with intellectual and developmental disabilities comes from the “Developmental Disabilities Individual Budgeting” Medicaid waiver. This iBudget waiver provides home and community support assistance, but recipients can only choose a certain number of services and job support doesn’t always make the cut – and the money is spread more thinly every year. White said this support includes help with “writing the resume, going to interviews with them, helping them with that online process to get the job, then supporting them all the way through to keep the job." The problem, White said, is compounded by a long waiting list of people trying to get approved for the Medicaid waiver. In the meantime, many of those people are not only not working, but forgoing therapy, transportation services, and other resources covered under the waiver. Since the 2006 Case for Inclusion, the number of Americans served by Home and Community-Based Services (HCBS) waivers has increased by 79 percent, from 433,000 in 2005 to 775,000 today. Yet the number of people on the HCBS waiting list has tripled in that same time period—from 138,000 in 2005 to 424,000 today. Although the Florida has a lower-than average percentage of individuals living in a large, state-run institution (1.4 percent, compared to the national average of 1.7 percent), the state still operates three such institutions, which together are home to 760 individuals. Given that the state has more than 20,000 individuals with I/DD on its waiting list for Medicaid-funded Home and Community-Based Services, the state would need to expand its current service offerings by 62 percent in order to match current levels of demand. The report soncisers it a bright spot that Florida allows HCBS participants to self-direct their services; with one in five individuals with I/DD in the state self-directing their services, Florida’s average is nearly twice that of the national average of 11 percent.